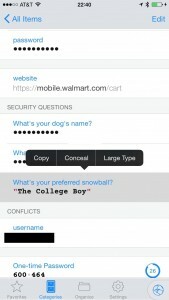 It’s far too easy to lose control of your accounts due to weak answers to “security questions”. In a recent study, 17% of the participants were able to guess answers to the “secret questions” of people they knew nothing about. Here’s how I respond to these questions now. Password resets are typically handled automatically via email or by talking with a person over the phone. So set up a strong system that will work well in either case. Chose a free email provider different from whatever you use now. Wikipedia has a concise list of providers you can browse. Beware: Many email providers will disable and delete your account if there is no use after as little as 30 days. Set a reminder on your calendar to login 3 or 4 times per year. Make the answers easily pronounceable so you don’t confuse the poor customer service rep. Avoid using words that are difficult to spell. When choosing answers, try to be as random as practical. You can use a word generator to choose from several thousand words. For greatest efficiency, use words that are easy to say clearly over the phone. I like the Pretty Good Privacy (PGP) word list. Don’t forget to change the questions at web sites where you’ve already answered! 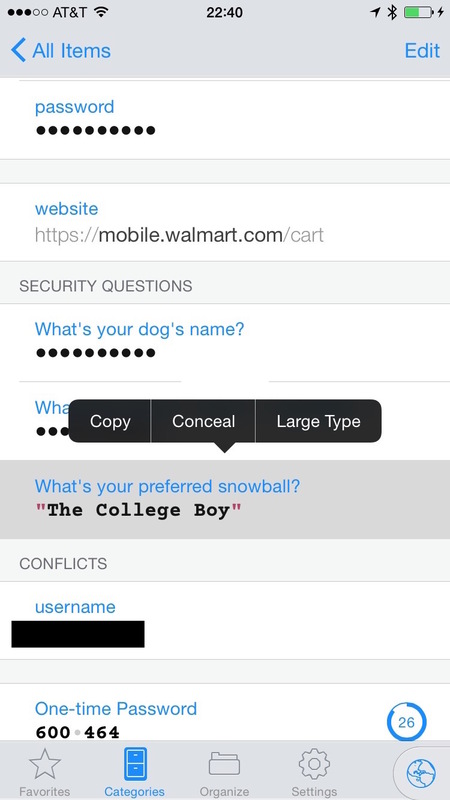 Questions for you: Can you see yourself using stronger answers to password reset questions? Why not?